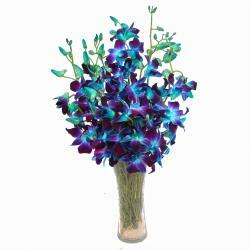 Product Consist : Ten Stem of Purple Orchids with green fillers nicely arranged in a Glass Vase. Checkout this wonderful gift item which is just made for special ocassions gifting. The gift item is a glass vase which is adorned with purple orchids. The glass vase contains ten stem. 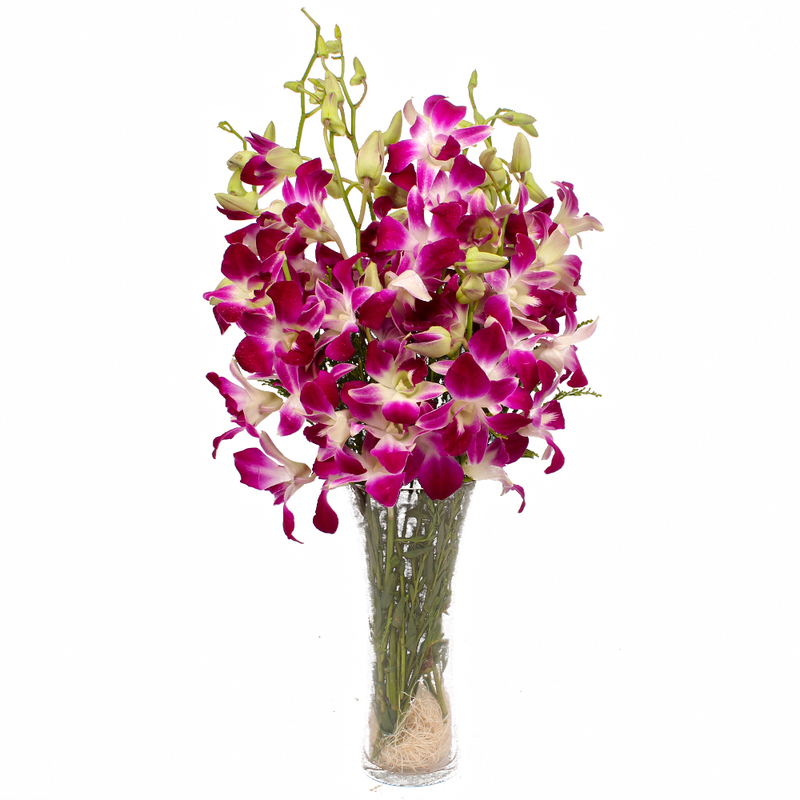 These flowers have a pleasing fragrance and symbolize true love and good luck. The fashionable glass vase is the perfect item for decorating the interiors. 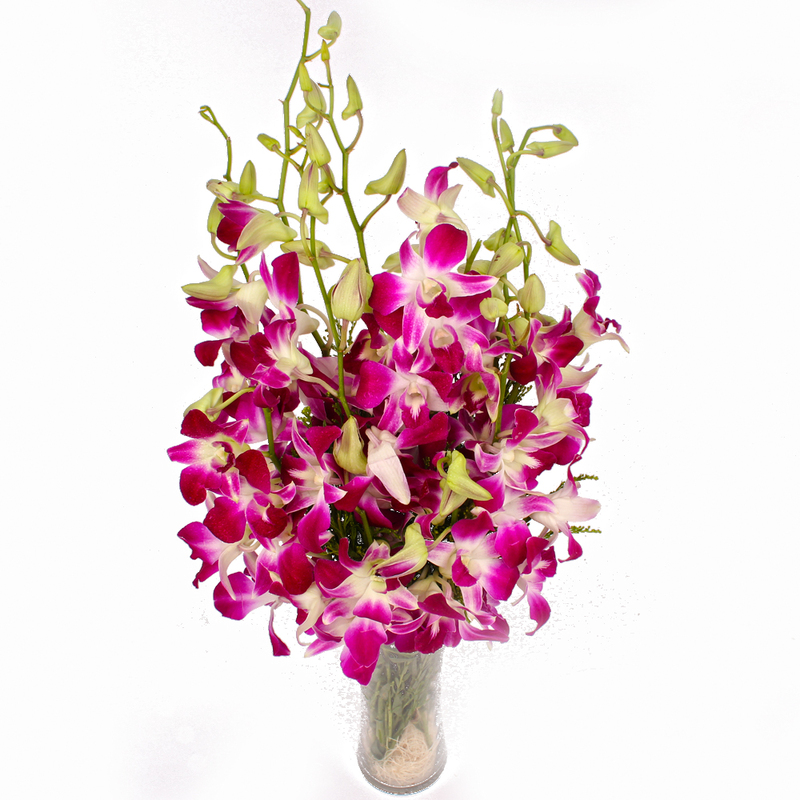 Make your loved ones feel loved and cared by gifting this alluring orchids in a glass vase. You can also use as gifting solution of different occasions like Birthday, Anniversary, Corporate Gifting, Dhanteras, Eid-Al-Adha, Independence Day. So go ahead and place your order for this amazing glass vase with beautiful purple orchids Which is available for gifting at our gift store. 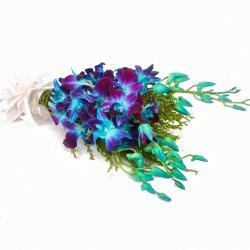 Product contains : Ten Stem of Purple Orchids with green fillers nicely arranged in a Glass Vase.